Each card can be cut and folded to form a beautifully detailed miniature model.Simple, easy to follow instructions are given on the back of the card and each model is designed in a single piece to allow ease of construction. 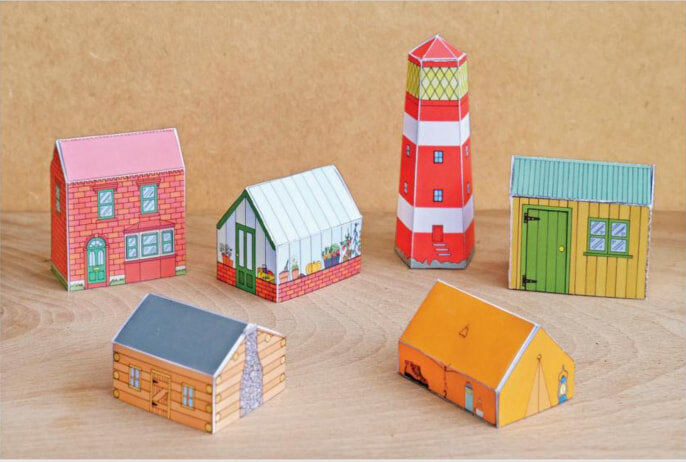 Pack includes 1 each of Ben's garden shed, town house, log cabin, scout tent, greenhouse and lighthouse designs. Each design is printed on 350gsm uncoated card, supplied with a white laid envelope and packaged in a clear cello sleeve. Each card measures 14.8 x 10.5 cm (A6) and is designed and printed in the UK.